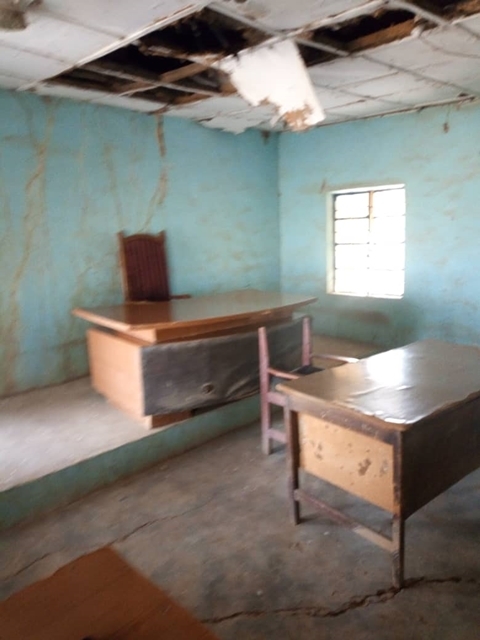 A Twitter user identified with the handle, @oluwanonso_Esq, has taken to the social networking platform to share some photos which show the deteriorating state of a Magistrate court in the South East of Nigeria. 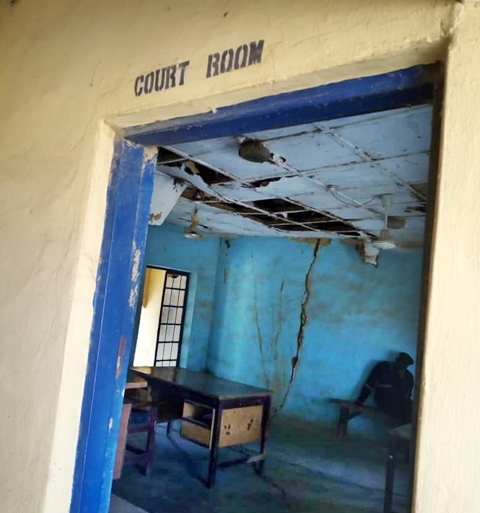 The photos revealed a court room whose ceiling was already crumbling, the doors and furniture were terribly damaged and the walls were so scratched and old. 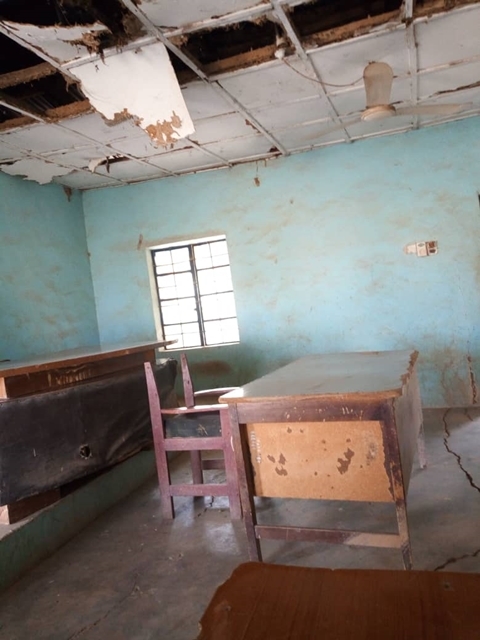 In essence, the building looked like a typical example of an abandoned building. 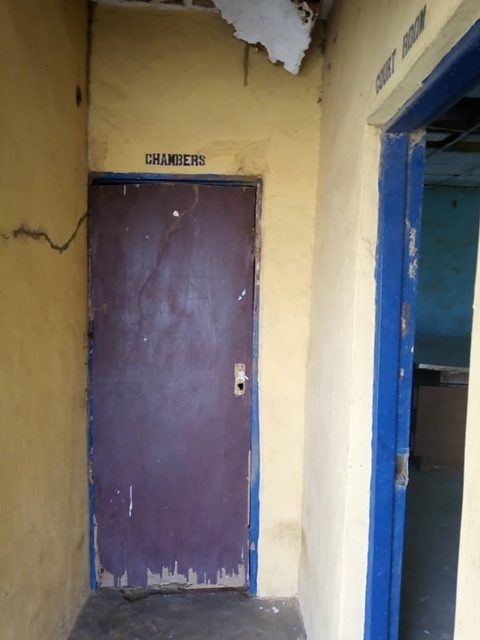 In expressing his disgust at the poor state of the building, @oluwanonso_Esq shared a sarcastic caption that conveyed his thoughts.